Rio is by far one of the most beautiful and exciting cities. Imagine walking along a beach with incredibly soft sand. The waves are crashing in front of you. Behind you there are majestically steep mountains surrounding a city of highrises that come right to the water. 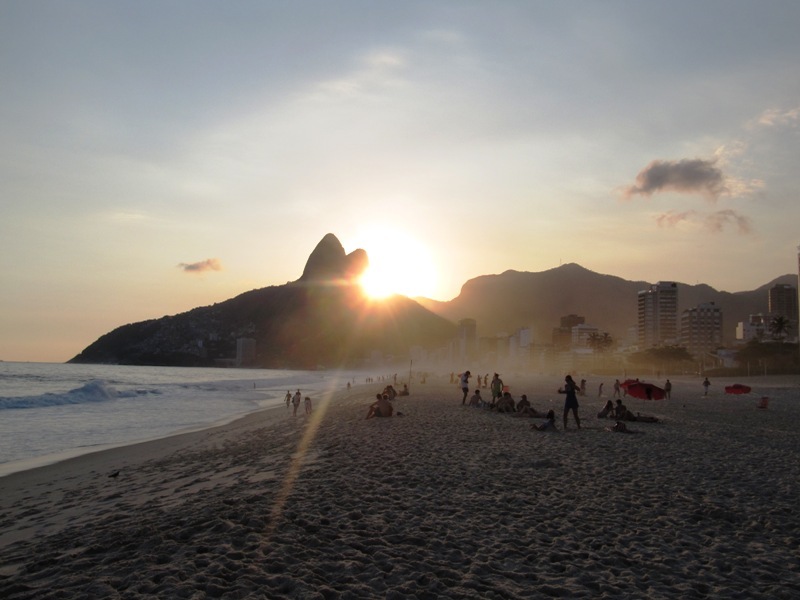 These are the beaches of Rio. And they are blissful. The beaches and laid back atmosphere sometimes reminded us of California. But the setting was much more urban. 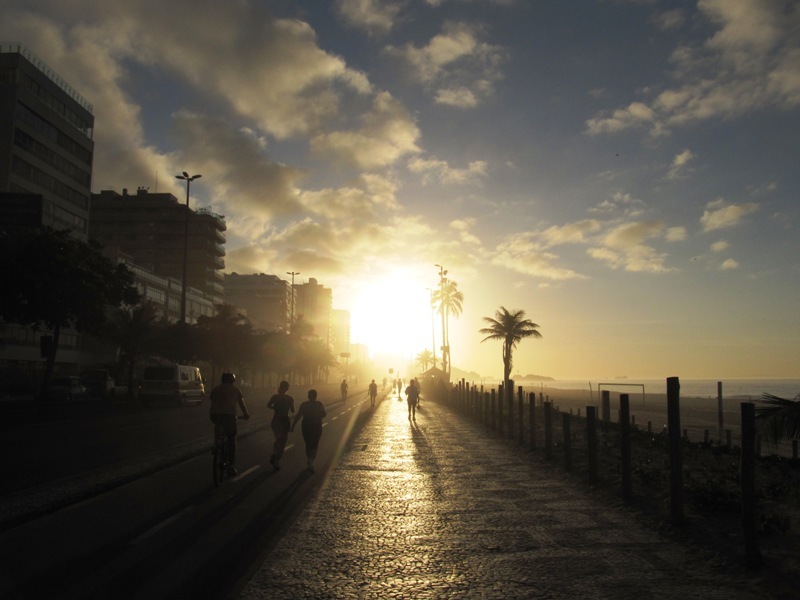 Los Angeles can learn a lesson from Rio on how to build a proper beach side city. LA, you planned it all wrong! Even the food has a California type feel with an abundance of fresh local salads. 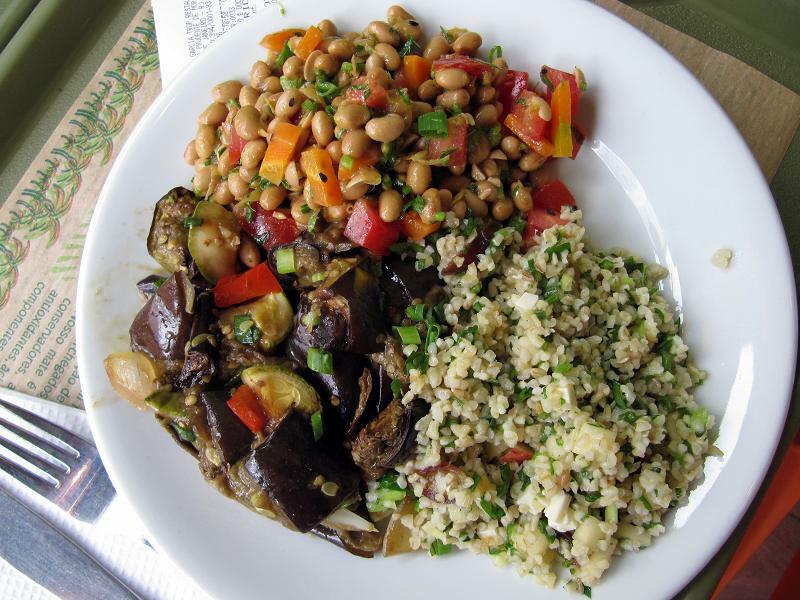 At one of our first restaurants we were hit with the flavors of Brazil and the realization that finally we were in a country that loved their veggies. The variety of salads is something to awe at. Vegetables cooked and raw and delecately infused with new and known spices. And Brazil cares about variety so we lucked out. 2 blocks from our beashside umbrella on Ipanema was Delirio Salads which was had some 20 options that were all fenomenal. First let´s describe the sand. The magic I think must be in the sand. The beaches are not exactly white sand, but the texture is soft, real soft. Slipping your feet into this sand is like having your feet wrapped in warm velvet. The sand is like like brown sugar and just as sweet for your toes. 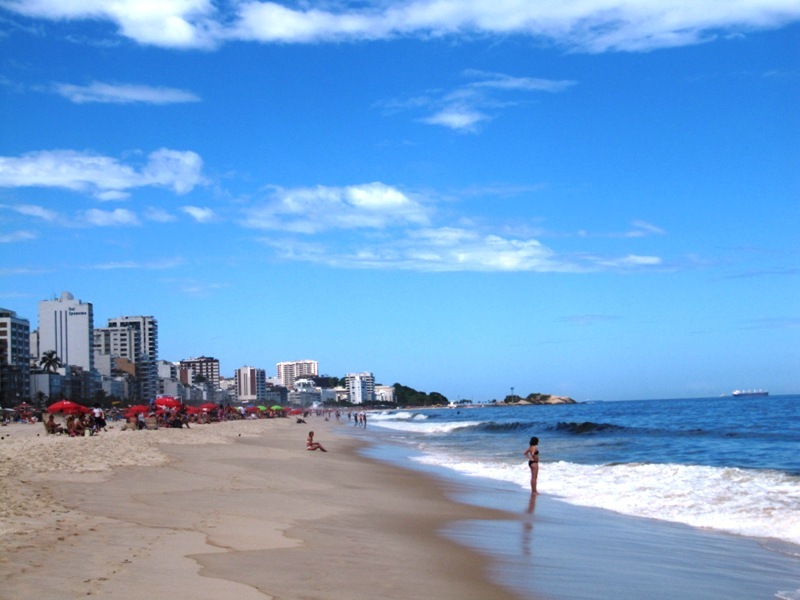 Rio’s beaches are enormous. 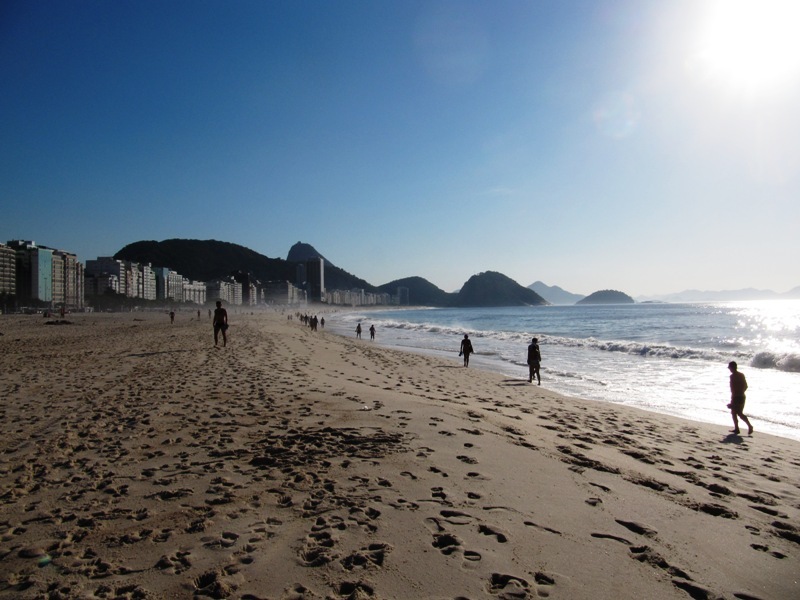 The two popular ones, Ipanema and Copacabana make up about 5 miles of bliss. The waves were big and there was a hefty riptide. 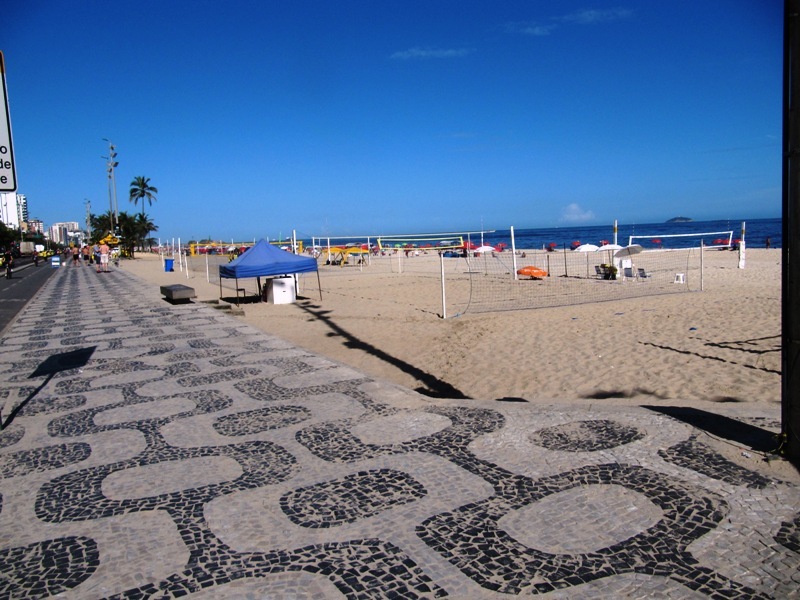 There is also a beautiful sidewalk along the full length of the beach, tiled with Poruguese black and white patterns. The beaches can be enjoyed at almost all times of the day. The sunsets there are breathtaking and the sunrises are passionate with color. The beauty is omnipresent. These beaches are destination worthy sights on their own. Thrown in the amazing food, the history, the samba nightlife, the mountain-top vistas and crazy high-speed bus rides and Rio has become one of my favorite cities. That sand is softer than velvet!